It’s time again for Bizzong! 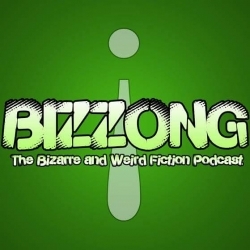 The Bizarre and Weird Fiction Podcast. This episode we present to you the new captains of the bizarro publisher Rooster Republic Press, Don Noble and Nick Day. Traditionally known for his horror and zombie fiction, we present to you an unlikely interview on Bizzong this week. Armand Rosamilia is a prolific and versatile writer. He writes horror, contemporary fiction, thrillers and suspense. You’re back and so is Bizzong! This odd train keeps on rolling with another new interview. This time we explore the chilly Northeast to find our next interviewee, Jeff O’Brien. When I think of bizarre and weird writers, Kevin Strange is one of the first names that comes to mind. he's our guest on this episode of Bizzong!